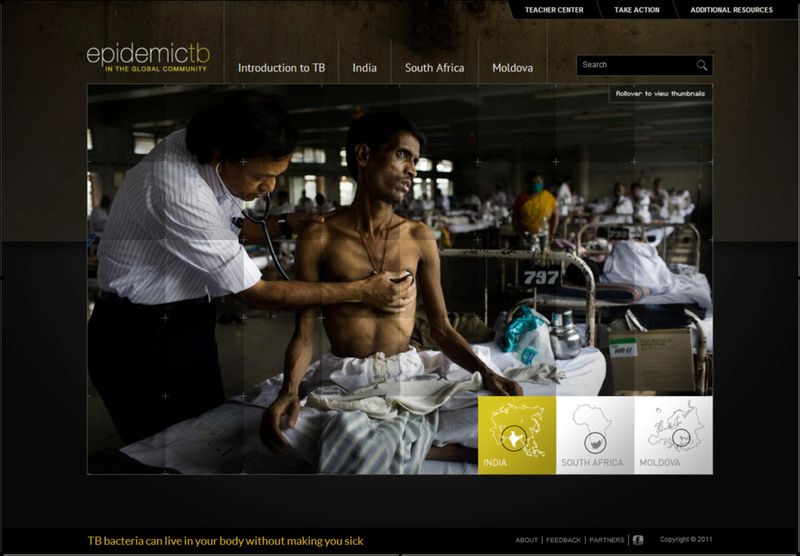 We approached a variety of partner organizations about leveraging our existing multimedia work on the global TB epidemic, which had been published by Al Jazeera America, the BBC, The Chicago Tribune and others, into an interactive, educational curriculum for high schools and universities. With Funding from Eli Lilly, we worked with the Pulitzer Center on Crisis Reporting and the Education Development Center, to build an interactive website that guides students through the basics of TB and public health in the developing world. It has been presented in high schools and universities throughout the United States and Europe. We've presented the material at a US Congressional Briefing and various World TB Day events. The project has also been shown in museums and galleries around the world, and has been used in campaigns by organizations such as the World Health Organization (WHO) in the fight against TB.